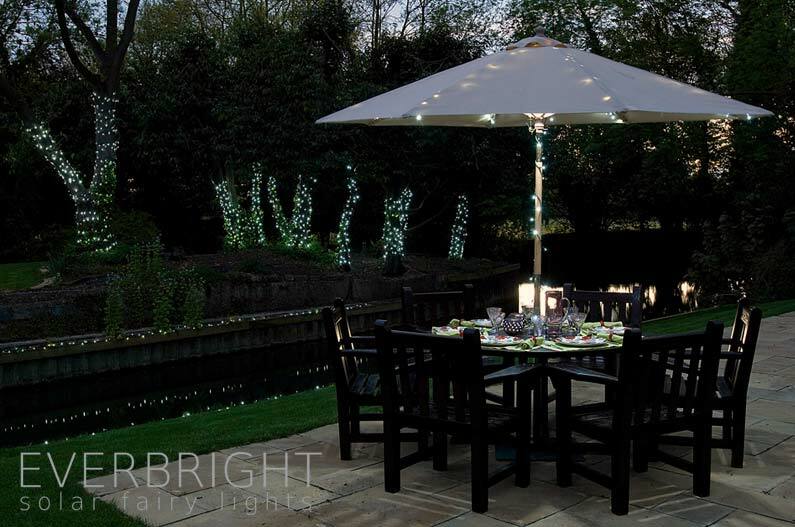 Solar and Fairy Lights are a match made in heaven for anyone wanting to put up fairy lights outside without using mains power. 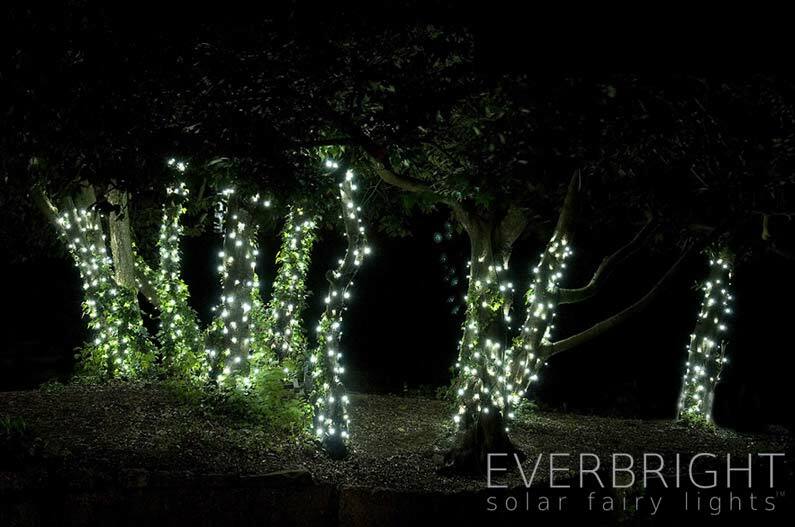 Our Everbright Solar Fairy Lights have been redesigned from the ground up and offer unrivalled solar powered performance backed-up with a USB charging option. 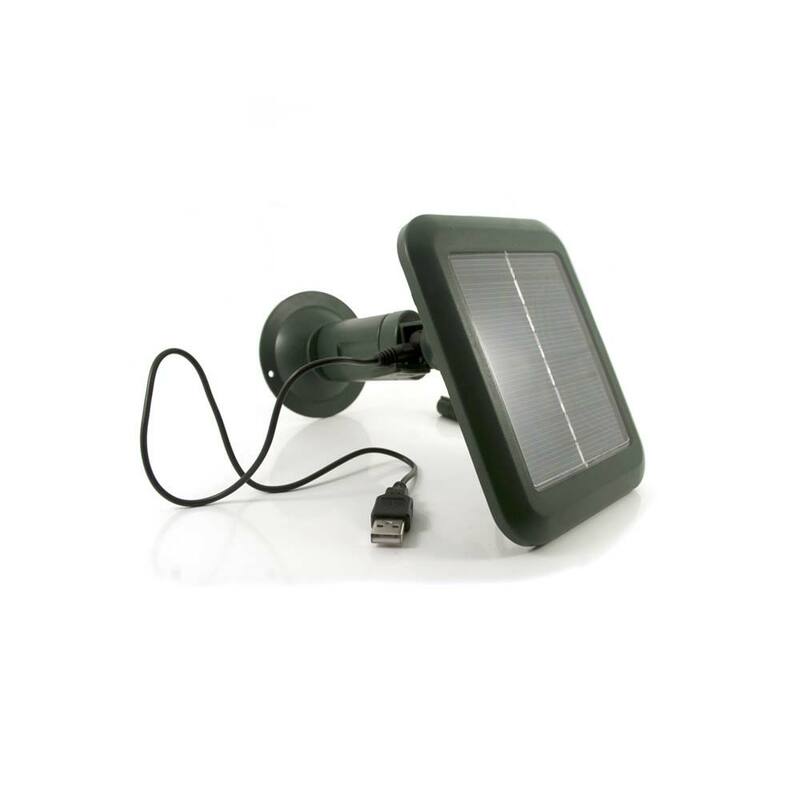 Simply position the solar fairy lights and solar panel module and away you go. Everbright’s feature a seamless umbrella design sealed by sonic welding to meet stringent IP56 rated waterproofing. This keeps them working reliably night after night, year after year. Not pleased. Having returned my original faulty lights I thought these would be better. I opted for continuous steady lights . They lasted three months. Now only two or three bulbs are lit(very bright) when I change to flash only half the string work. Same problem as before. South facing garden plenty of sun. great feature These are nice bright lights and the added feature of the USB charger is a great bonus. The lights worked fine in the front garden where there is more sunlight but when I used them in the back garden the trees caused too much shade.I charged them with the USB and they were good for 3 days before I had to do it again. Of course I won't need to do this when the days are longer and brighter. Great product. Sparkle Excellent product, great service, nice people. The fact that I can charge these with a USB port makes up for the lack of sunlight. What's the difference between the old Everbrights and the new ones? We have fundamentally improved the design, reliability, performance and price of the new Everbrights. We have moved away from the old design where the solar panel and control box were two separate units. 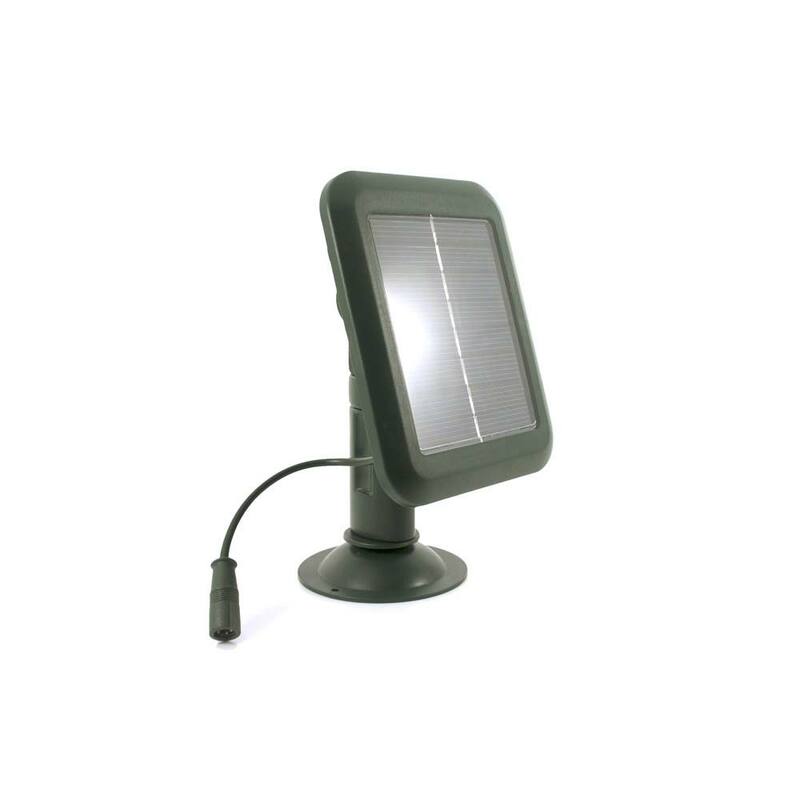 The new Everbright solar panel and control box are combined into one unit. 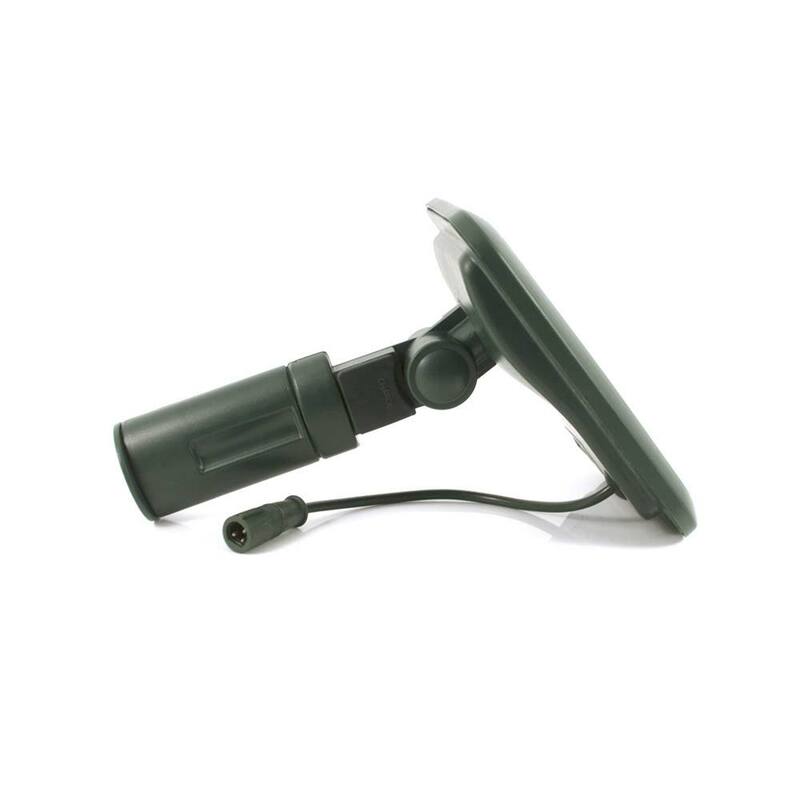 This state of the art design makes the unit much lighter and much more waterproof. Everbright’s are now USB chargeable which means you can use them inside your home as well as outside. USB also gives you the option to fully charge your lights in time for a party or special occasion if the weather has let you down. The old Everbrights had a specialist sealed battery pack which was not commonly available and tricky to access. The new Everbrights use standard AA rechargeable batteries which are available in all supermarkets and can be replaced in under a minute without so much as a screwdriver. Our new innovative Multi-Mount Installation System gives you the option to set up your Everbrights in virtually any location that gets good access to sunlight including your lawn, decking, fence, trellis, wall or roof. The new Everbrights come with 2 extra modes so there are now 8 modes to choose from instead of 6. We've also made 'constant on' the first mode as this is the most popular mode based on customer feedback. Although incredibly reliable, there was a rare fault which affected the buttons on small number of old Everbright units. 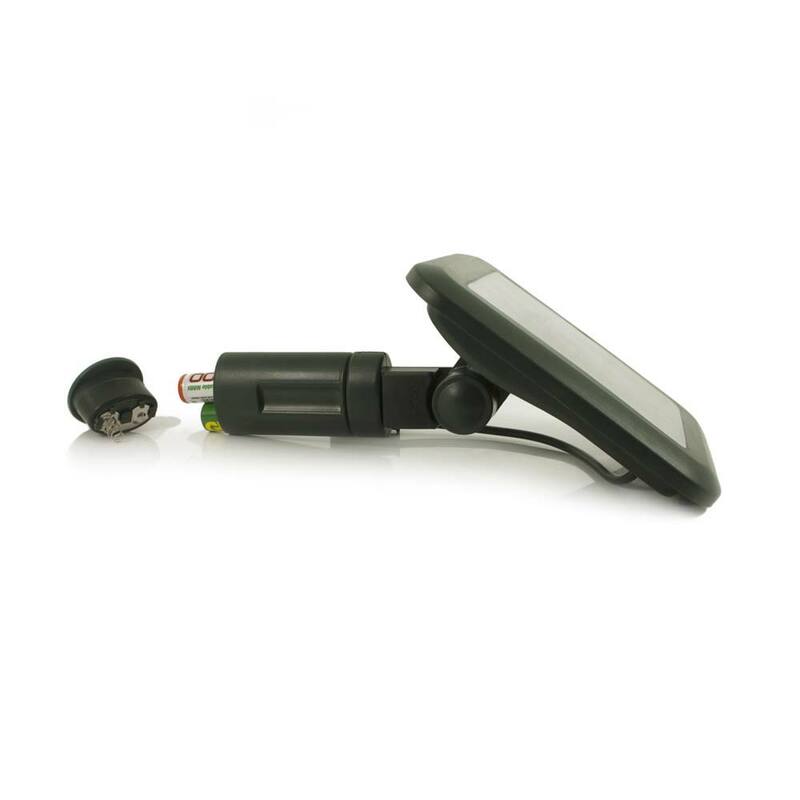 The new Everbrights use a much simpler and more reliable push switch mechanism which has completely fixed this issue. Now for the really good news! We have reduced the price of the new Everbrights considerably. A new set of 50 LEDs (5 metres) will cost you £19.99 which is £10 less than the old sets of Everbright 50 LEDs. 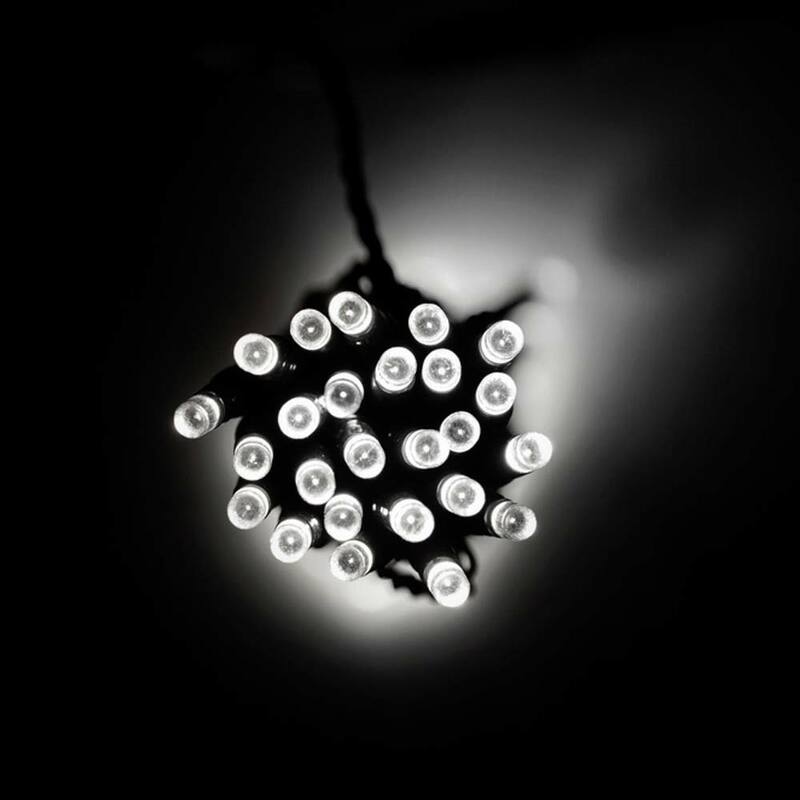 The 100 LEDs (10 metres) have also been reduced by £10 to £29.99. We couldn't bring the cost down on the 280 LED bulb set (28 metres) but we have added 20 extra bulbs to 300 bulbs (30 metres) and kept the price the same at £69.99. 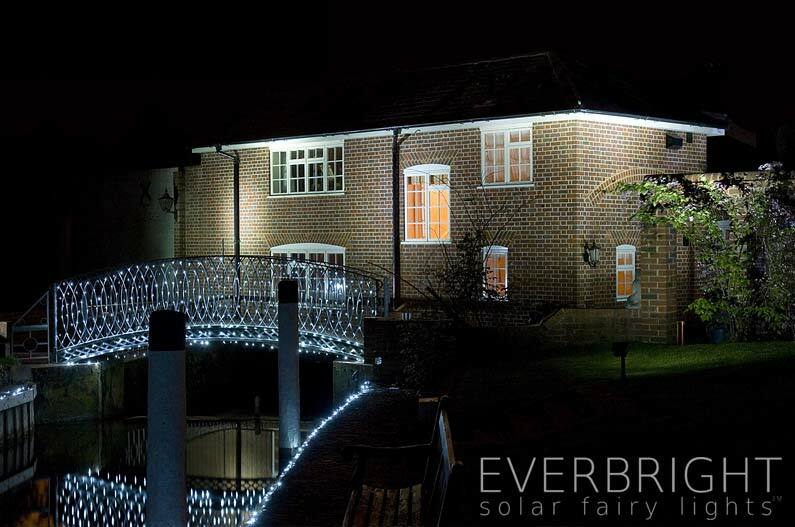 What are the advantages of Everbright Solar Fairy Lights Vs mains powered fairy lights? 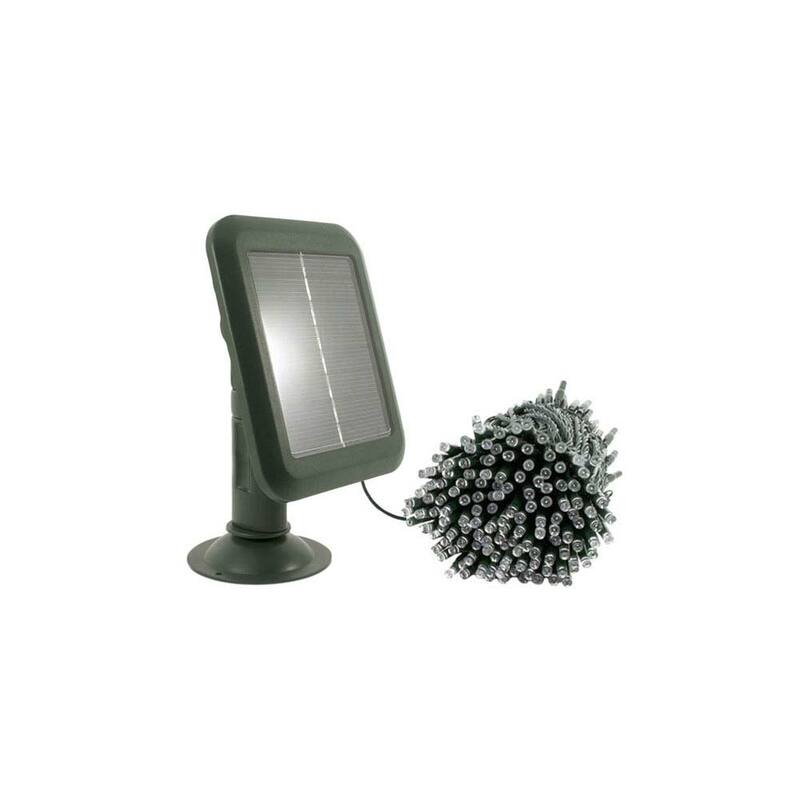 During the day the sun's rays charge the two rechargeable AA batteries inside the Everbright's solar panel module. After dark the charge stored in the batteries power the lights. In the morning the lights turn off automatically and charge up again ready for the night ahead. The Everbrights are fully automatic so you don’t need to turn them on and off each night, but you can operate them manually if you like. The new Everbrights also have a back-up USB charging capability. Simply disconnect the fairy light string and take the solar panel module inside where you can use the supplied USB charging cable to fully charge your Everbrights via your computer. If you don’t have a computer you can always use a USB Mains Adaptor. Do you still sell the sealed battery pack as a replacement. My lights have just stopped working and are the old style? We do not have any stock left of the old type. What type of fixings does the solar panel have.? I want to fix it to the wooden side of a walkway roof, would this be possible, and does the panel have to be facing south? The solar panel should be facing south to get as much day-light as possible. 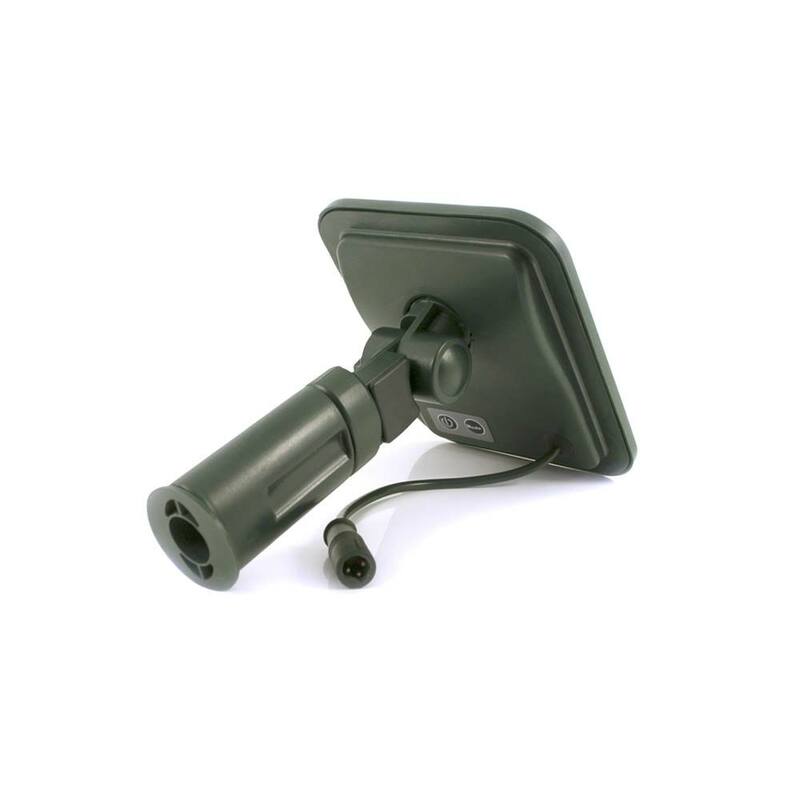 The unit comes with a spike for ground mounting and multi-mount cap for mounting on a wall or fence. Hi. How long is the blank lead cable - is it 2m like your 100 LEDs or is it 5m length total with lights all along? There's 5m with 50 LED lights on and then an extra 2m of cable with no lights back to the solar panel. Total is 7m.